Taking gamers on an extensive tour of some of the company's best arcade titles, Capcom Classics Collection for the PS2 features 22 arcade games. The selection ranges from traditional overhead shooters like 1942, Vulgus and Exed Exes, to classic side scrollers like Ghouls 'n Ghosts and several classic installments of Street Fighter II. The emulation is excellent throughout, with each title retaining the vibrant graphics and animation that made them so appealing. In addition, this compilation features an array of unlockable bonus content including arcade flyers, artwork and music tracks for each game. The selection of games is quite varied, with well-known titles like Final Fight coexisting with lesser-known gems like Pirate Ship Higemaru. All games in this package share one thing: they are consistently entertaining. Capcom Classics Collection is a superbly assembled package and a must purchase for any classic gaming fan. With 22 arcade classics, this compilation already has sheer numbers on its side. The fact that many of the games on the disc are almost universally regarded as Hall of Fame material should only add to its appeal. It's not surprising that classics like Ghouls N' Ghosts, Street Fighter II and 1943 have help up so well, but what will catch gamers is the quality of lesser-known gems like the previously unreleased Son Son and Legendary Wings. These are the kinds of games that really shine upon closer inspection and play, making them well worth your time after you're done reliving the games you remember most vividly. As you might expect, some of the games haven't held up well, while others seem different than you remember them to be. For example, the famous 194X series is one of those series that you might have vague memories of, but what strikes you when you play it now is how sophisticated the games were and how many later shooters were influenced by them. It's difficult to imagine a modern shooter without a screen filling nuclear bomb weapon, and this is one element that was initiated in the series. The games' unique diving system was also innovative, and anticipated similar systems seen later in titles like Giga Wing and Radiant Silvergun. As you might imagine, the earliest installment, 1942 seems a tad dated these days, especially when compared to the other two later games, but still has its charms. 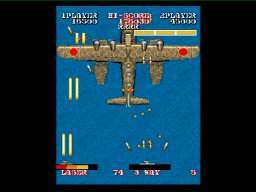 1943 offered significant improvements such as the life bar and enhanced weaponry, while 1943X's enhanced visuals definitely set the template for many subsequent titles throughout the next decade. This seminal trilogy of World War II shooters were definitely influential in the development of the shooter, but they pale in comparison to the impact Street Fighter II had, it basically created the modern fighting genre. The three early titles on this compilation show the series first three incarnations from the original SFII to SFII: Champion Edition and SFII: Turbo Fighting. While the changes between the games, such as the ability to fight as the bosses, might seem minor now, they were definitely a big deal at the time. At the time, most fighting games offered only a single kick and jump button, so the series introduction of a six-button layout was revolutionary. The conversions of Capcom Classics are also excellent, allowing players to relive the excitement and buzz that these game's generated. Surprisingly, they all seem to play just as well as they did originally, with the tight controls, excellent play balance and cool characters you remember. These titles' limited amount of sprite animation and slower speeds might come as a shock to those accustomed to their more recent fighters like Marvel Vs. Capcom. However, once you can look past their limitations, the original SFII titles contain all the main elements, building blocks and conventions Capcom would refine in their later fighting games. To make this compilation feel even more essential for classic game aficionados, the company has also included their classic pre-SFII brawler Final Fight. While this side-scrolling brawler plays much simpler than the later SF titles, it features some of the elements that made SFII so successful such as multiple characters, chain attacks and bright colorful sprite based characters. Of course, the ability to pick up and use weapons wasn't included in SFII, and the game's backgrounds aren't nearly as elaborate, but Final Fight remains a pretty cool game that embodies the classic brawling titles of the late 80's and early 90's. It's influence can also be seen in hundreds of other similar games, but Final Fight was and still is one of the best in its genre. Ghosts N' Goblins, Ghouls N' Ghosts and, Super Ghouls N' Ghosts are another trilogy of titles that definited a genre, in this case the side scrolling action title. While all the titles share a similar plot and play mechanics, all present players with a unique set of challenges. The first Ghosts N' Goblins was an enjoyable, if slightly difficult title that set itself apart with its robust plot and great graphics that set up quite a move. 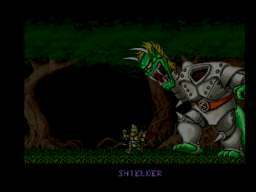 Several years later, the upgraded Ghouls N' Ghosts wowed players with its massive bosses, great music and increased challenged. The final game in the series was only released on the SNES and featured more of the great action that players came to expect from the series. All three games shared some pretty cool monsters and weapons, though the superb Ghouls N' Ghosts remains the best in the series, and all three games have held up remarkably well and still pose quite a challenge for even the best gamers with some of the most difficult yet ingenious level designs seen in side-scrollers of their time. 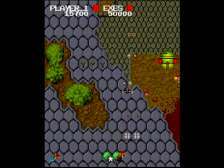 Capcom also produced some of the best side-scrolling military shooters of their time with titles like Commando and Mercs adding some cool new ideas to the genre, Commando was a uniquely challenging title that offered players the chance not only to shoot bad guys, but the ability to rescue hostages as well. 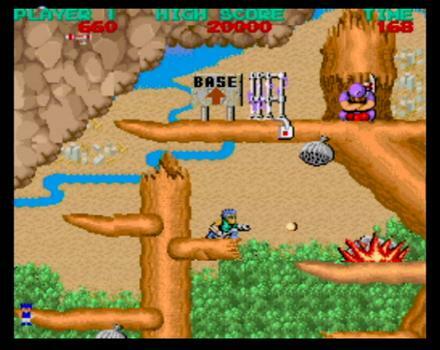 Commando's sharp graphics and great music have also withstood the test of time, making this another timeless classic. Initially, Mercs may seem like more of the same, but here the battlefields scroll in different directions, adding to the challenge. The game also features more intense boss designs and better visuals than Commando, making it another solid title. Gunsmoke is another vertical shooter, though this time the action takes place in the old west, with players controlling a gunslinger as they try and defeat the hordes of enemies and capture the bandits to win rewards. Despite their relative simplicity, these games remain quite appealing and their easy accessibility makes them a joy to play. Capcom has also included several additional shooting titles on the package, all of which are interesting and experimental, making them worth playing for the curiosity factor alone. The first of these is probably one of the more innovative, Legendary Wings. Combining traditional overhead shooting with platforming action in certain sections, this can be considered an experimental game that didn't turn out as well in practice as it probably did in theory. The overhead sections are solid with the tight controls players have come to expect, but the awkward controls in the underground sections and the unimaginative mazes combine to make this one of the least impressive games on the disc. Cacpom tried to accomplish a similar feat with Section Z, but this time the attempt worked a lot better, thanks to a better design, cooler enemies and a more cohesive transition from the shooting to the platforming stages. The best of these is probably the classic Forgotten Worlds, with its unique spinning controls done justice on the PS2 controller, allowing you to change your shot direction while destroying a variety of cool looking enemies. This game was also notable for introducing the 'shop' mechanic, where you purchased items that you could use to upgrade your fighter. This was also a two-player simultaneous shooter, further adding to the fun and excitement. Forgotten Worlds' unique design and cool boss battles definitely make this one of the better games on Capcom Classics Collection. While its basically a side scrolling action title at heart, Trojan's weirdly appealing setting and responsive controls make it one of the more enjoyable titles on the disc. Trojan isn't the most elaborate game in the package, and plays kind of like a watered-down Final Fight, but it is simple, accessible fun. Two of the company's earlier shooters also make welcome appearances. While it seems remarkably simple by today's standards, Vulgus was in fact, Capcom's very first game and despite its simplicity remains a charming shooting title with some cool ideas that were elaborated on in subsequent shooters. While there are no power-ups in the game, that actually makes it more challenging in some ways, forcing players to rely on their raw skills and reflexes to survive. The translation here is excellent, and the sprite-based graphics look surprisingly good for a title released two decades ago. A more advanced shooter is also included, called Exed Exes which allows you to trace the evolution of the form. Exed Exes was unique in several respects not least of which was its unique bee-theme, with the enemies buzzing around you over cool looking hexagonal hive constructions, it definitely made good use of the 194X style of play, and has definitely not lost a step. It remains challenging and exciting, and you can see the Capcom's style of play very much in evidence throughout. Exed Exes qualifies as on of the collections more obscure titles, but this solid shooter is definitely worth checking out if you like these types of games. One of the most disappointing games on the compilation is the simplistic platform puzzle title Son Son, which offers surprisingly basic gameplay coupled with a lame series of characters and uninteresting puzzles. The game also suffers from its bland graphics, unimaginative design and generally tedious gameplay. However, the good news is that its probably the only real 'dud' in the package. While Pirate Ship Higemaru is just as simple in approach and desing as Son Son, the game's ingenious play mechanics recall a mix of the arcade classic Pengo and Bomberman, as you try to evade the other pirates on your ship by throwing barrels at them, collecting items and more. The early levels are incredibly simplistic, but the more complex levels can become much more exciting in a hurry. Pirate Ship Higemaru starts off very slowly, but quickly becomes one of the more addictive games on the package, and its obscurity makes it quite easily, the find of this collection. While many gamers may be familiar with Bionic Commando from the NES days, this version from the arcade is very different. It presents an almost completely different style of play with a complex series of platforms, complex controls and a much higher level of difficulty, it probably isn't what most gamers expected. However, once you get beyond your shock, this is actually a pretty good game that offers plenty of challenge, though be warned, things start off hard and get harder very fast, so don't look for a quick and easy pass on this one, which is probably going to be the biggest surprise for gamers. Taking on a compilation of games with the breadth and depth of Capcom Classics Collection can be an intimidating task, but the solid gameplay and entertainment value that a solidly produced disc can offer makes for a rewarding experience. Taken individually, the games on the disc all offer the solid gameplay mechanics, entertaining play and tight controls all show Capcom's distinct feel. Most of the games have held up quite well over the years, and very few show their age. Capcom Classic's emulation is superb, with a variety of different display modes for certain game ensuring an authentic look and feel for each title. A variety of extras, ranging from artwork to arcade flyers, facts about the games and other bonus materials all add even more value to the package. This creates a superb, well-produced package that offers a solid value for the money. Given their sterling heritage, it will come as no surprise that Capcom Classic Collection is one of the most consistently entertaining retro compilations on the market.